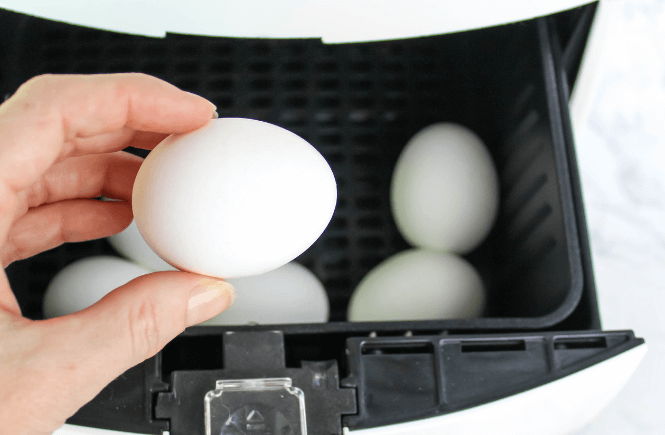 The airy fryer is making egg cooking way easier and more convenient than traditional methods. 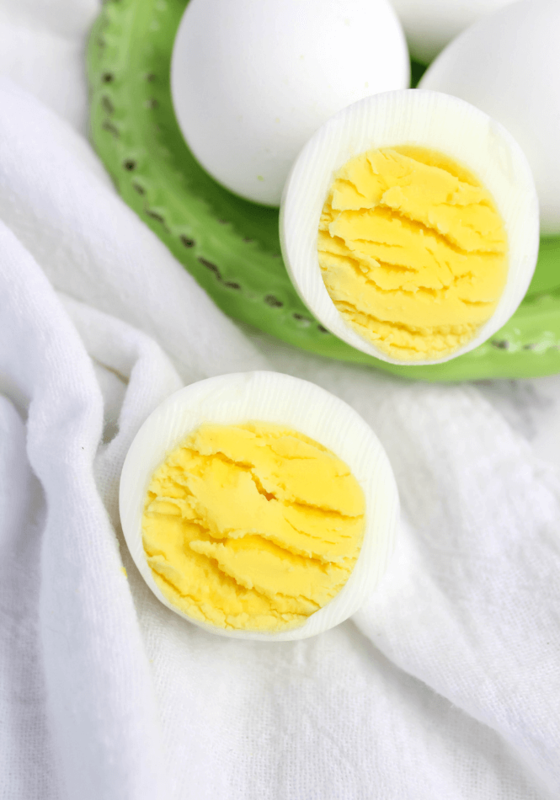 These Air Fryer “Hard Boiled” Eggs take only 20 minutes without any water to boil or pan to clean. 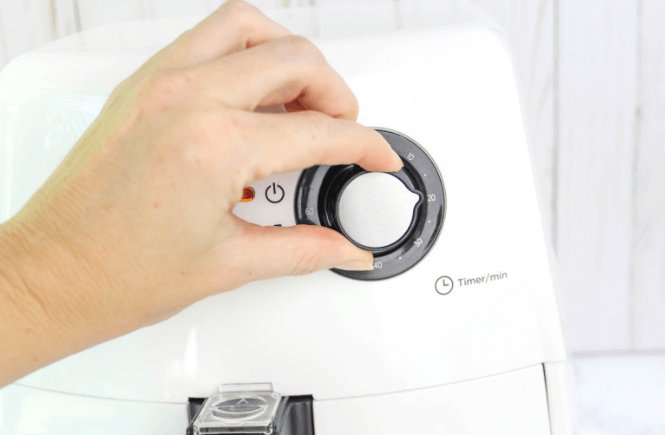 There can be some adjustment needed on the time and temperature depending on what air fryer you have. I use the Midea Air Fryer. Here are some other options below if you are in the market to purchase one. 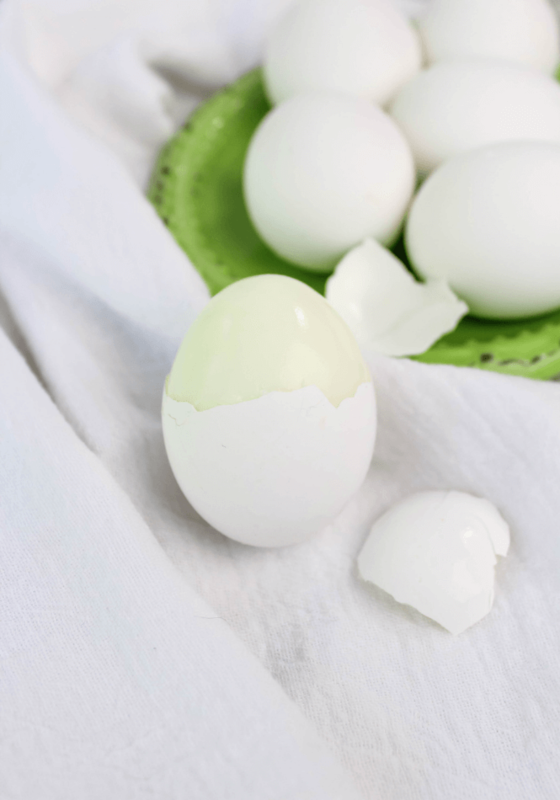 Hard boiled eggs are a go-to food for me and my kids in the morning to get some protein without eating too much. We all have a hard time eating in the mornings so eggs are perfect. 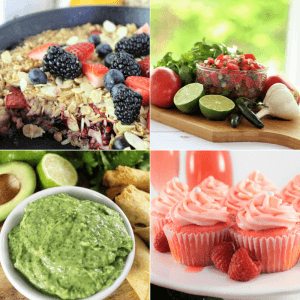 Eat after a workout or put on salad for lunch. Lot’s of possibilities. 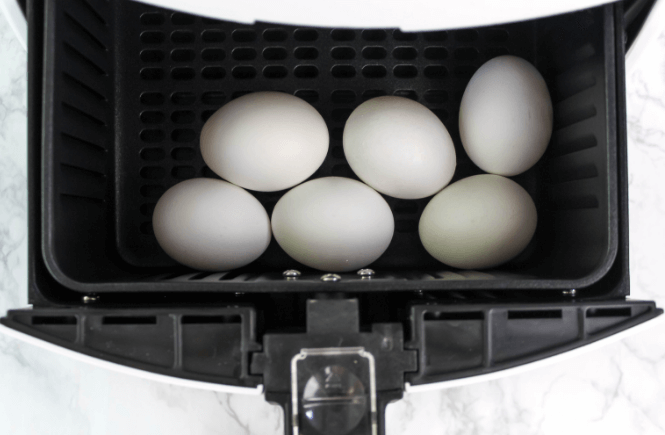 Place 4-6 eggs into the air fryer basket. Close and put temperature to 275 degrees. Place the timer on 20 minutes and let cook. If you like the eggs less done, reduce time by 2 minutes. I recommend testing out a couple batches with a single egg to get a feel for your air fryer and how you like your eggs. Note that the more eggs you put into the air fryer, the more time you will have to add for them all to cook thoroughly. 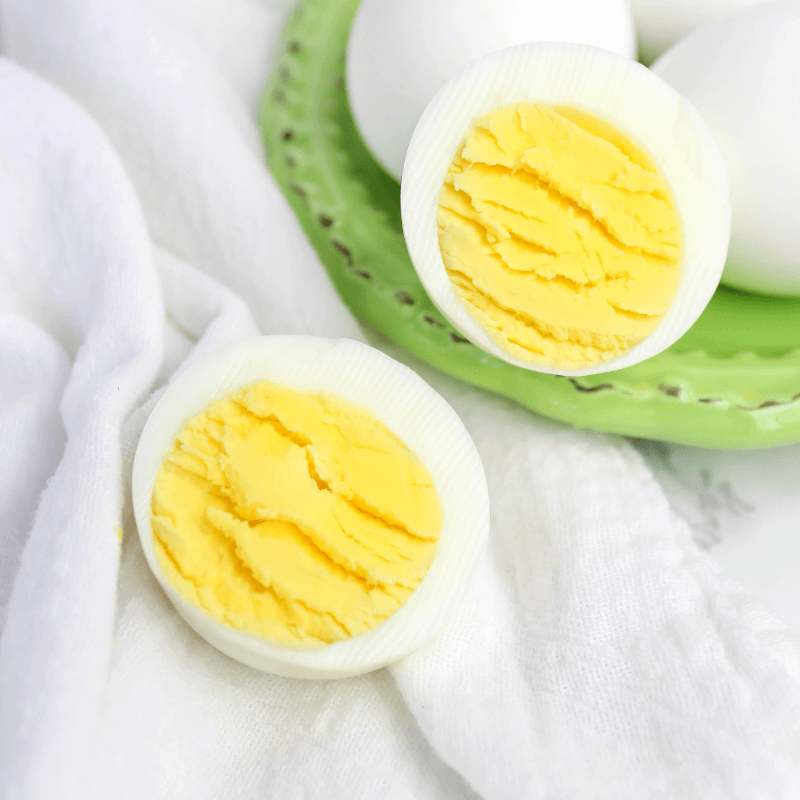 When the timer goes off, place the eggs into a bowl full of ice and water to stop the cooking process. Once cooled, peel and eat. I like just a pinch of salt and cracked pepper on mine! Place 6 eggs into air fryer. Set temperature at 275 and timer for 20 minutes. Place into an ice bath when timer goes off. Can you use an air fryer oven to cook eggs? You are talking about one of those power air fryer ovens, right? I have never used one so I’m not sure but I think it is essentially the same thing. Pop a couple eggs in there for 10 minutes and see what happens.